An example is the current wrangling over delayed elections for the Lower House of Parliament and the local councils, meant for this month but postponed to December. The Upper House of Parliament, the Guurti, comprising selected clan elders, announced the postponement on 21 January following failed negotiations between Somaliland’s three official political parties. Two interrelated issues are at play. First is a technical one – the National Electoral Commission (NEC) says it requires 10 months to prepare for the elections. Not only are 82 parliamentary positions up for grabs, but also those of the local councils. So there will be much smaller and localized contests, rather than one big one as in 2017. The second issue is political. The main opposition party, Waddani, has refused to work with the NEC, contributing to the delays. Waddani contested the 2017 presidential poll results but withdrew its complaints after episodes of violence. 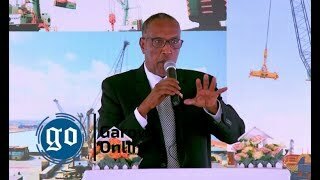 While agreeing to move on, Waddani chairperson and presidential candidate Abdirahman Irro said he still disputed the results, but rescinded his complaints about the greater good of Somaliland’s stability. A mission of 60 international observers managed by the University College of London’s Development Planning Unit noted that irregularities (such as underage voting) occurred in 2017, but wasn’t enough to affect the result. Rather some of the technical preparations in the lead-up to the poll, such as using an iris scanner for the first time to register voters, were applauded. While the 2017 process had some flaws, they weren’t enough to overturn the election results. 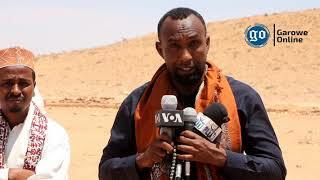 Yet civil society representatives told the Institute for Security Studies (ISS) in Hargeisa in February that this election proved divisive, and deepened political competition among major Isaaq sub-clans in Somaliland. This also raises questions about the quality and trajectory of Somaliland’s democracy, beyond simply holding polls. 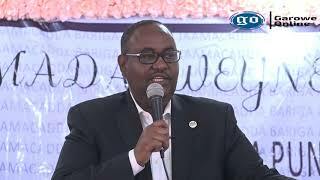 Waddani has proposed dismissing the current NEC, but the presidency and the ruling Peace, Unity, and Development Party (Kulmiye) have balked at these demands, saying the NEC is competent. The third and smaller political party, UCID (For Justice and Development), has recently gravitated towards Kulmiye on these matters. Negotiations are continuing, but a recent meeting to discuss these concerns was reportedly postponed. In order for the Lower House process to move on, a compromise must be reached. Civil society representatives lamented to the ISS the difficult situation in which neither side is completely right or wrong. Many believe Waddani’s complaints should be heard, and that the government hasn’t done enough to move beyond the impasse. A complicating factor is a need for a new electoral law ahead of the contest that would deal with the representation of women and minorities. There is also pressure by some regions to reallocate the division of parliamentary seats ahead of the vote. That the political parties are able to debate the electoral process in an open and non-violent manner shows how far Somaliland has come. But the failure to compromise indicates how divisive electoral politics has become, with each election cycle setting the stage for intense contestation in what some regard as an increasingly zero-sum system. 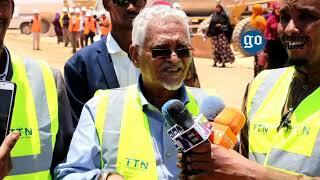 Both sides will need to compromise to advance Somaliland’s democracy and consolidate the gains made thus far. 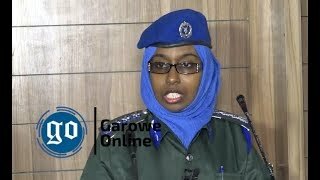 The views expressed in this article are the author's own and do not necessarily reflect Garowe Online's editorial stance.